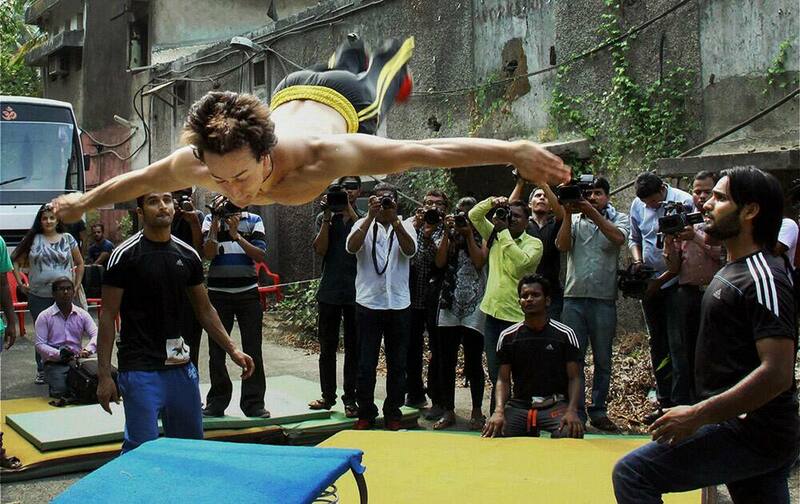 Tiger Shroff performs a parkour stunt to promote his upcoming film Heropanthi in Mumbai. Actress Jessica Chastain poses for photographers as she arrives for the screening of Foxcatcher at the 67th international film festival, Cannes, southern France. British actress Helena Bonham Carter arrives for the British Academy Television Awards at a central London venue. A model displays designer creation during the North East festival in Mumbai.